Friends, Romans, countrymen, lend me your ears, for I will now unravel the mystery. No, not of the universe! For years, students have been scratching their heads, trying to figure out how to write a blog post. And here, I present to you, the secret recipe for blog writing. Once you have chosen a genre for your blog – whether you want to write poetry, fictional stories, informative articles, humour listicles, opinion pieces, your day-to-day experiences, or a cocktail of all of it – you can begin with your first blog post. 1. Choose a topic and a working title – Choosing a topic is the first stumbling block. While writing a blog, you have to consider what readers want to read. Write on a topic that entertains your readers or teaches them something new. Quick tip – gather a topic from your friends. I’m sure they crib about a lot of things, debate on various topics, and face plenty of issues. Coming to a working title, it is important to understand that it is different from the final title; it only ensures that you have clarity on what you intend to write and keeps you from drifting away from it. For instance, since this article is all about writing one’s first blog post, the working title I kept was ‘How to write your first blog post’. 2. Draw an outline – Writing an article without drawing its outline is like travelling to an unknown place without Google Maps – a bumpy ride with a lot of turnarounds! An outline helps you figure out the flaws in your article at a very initial stage, saving your time and effort. This is what lays the groundwork for your article, so don’t mess it up. Take enough time to research the topic you’ve chosen and define all the points you wish to include on the blog. Finally, analyse if that is how you want your article to shape up. Umm… but how exactly do you draw an outline? 3. Write a captivating intro – Try to make your opening lines as compelling as possible. The initial paras are where you can gain or lose a reader. Address the reader directly; this would make her feel involved. Capture a reader’s attention by listing her problems and slipping in slight hints as to how you intend to solve them. Try sharing an anecdote from your own life – nothing engages a reader more than an incident she can relate to. You can read these 11 ways to write a magnetic opening. 4. Write the body – You need to invest most of your time here because this is what a reader visits your blog for. Yours should be the last post he visits to get his questions answered or to obtain a whole new perspective on various issues. The most difficult part of blog writing is to write something that’s easy to understand; keep it simple and it’ll become engaging itself. Close your body with some solid concluding lines and a call to action which could be an advice, an offer, a link to another post, etc. Add pictures, if required, to make your article appealing but remember not to violate any copyright laws. 5. Organise and edit your post – Your post might have an overwhelming amount of information. If you don’t want it to look like a trash island, split your article into smaller sections and use headings, subheadings, and bullets wherever possible. Read your article with an eagle’s eye and keep your grammar perfect – bad grammar is a deal breaker! (Tip: Use tools like Grammarly and Hemingway App) Remove every irrelevant bit from your article. It might feel like someone is snatching your baby, but you ought to do it – cohesion and brevity are the pillars of a good read. 6. Write a catchy title – Now is the time to give your article a title that will cast an ‘accio’ spell on your readers and bring them to your post. As Neil Patel, a famous blogger, states, follow the four Us while writing a title – unique, useful, ultra-specific, and urgency. The secret lies in getting creative and enticing your reader. It shouldn’t just be a clickbait as employed by some sites, but it should be intriguing enough for a reader to click on it. 7. Publish – Preview your post and review it all over again. Given picture credits? Justified the text? Checked for grammar and spelling errors? Yes? Then, hit that publish button! Easy, wasn’t it? a. Know your voice – Jeff Goins, a famous author & blogger, says, ‘Writing isn’t about picking the right topic; it’s about finding the right voice.’ Don’t copy someone else’s writing style and voice. Search for your own voice by practising writing more and more. b. Use simple words – Fancy vocabulary will only make your post difficult to read and you don’t want your readers to keep a dictionary with them. As a rule of thumb, use vocabulary that a high school student can understand. c. Write detailed posts – There are two advantages of doing this – first, it helps the users address many of their concerns and second, it ranks higher on search engines. Many bloggers claim that their readership has elevated big time since they started writing detailed posts. However, ensure that you don’t get carried away and add unnecessary details. d. Have someone read your work – Ask that grammar nazi friend of yours to go through the article. Don’t ask her to just find out grammatical errors but to see if the information is being communicated effectively. With ~95000 blogs launched every day (as per BlogPost), expert advice from starting a blog to growing it will do wonders in making your blog stand out. Go through these books every aspiring blogger should read and follow bloggers like Neil Patel, John Saddington, Brian Clark, Zac Johnson, and Darren Rowse. P.S. You know what’s common between brands like Internshala, Groupon, Kunzum, Style Fiesta, and PopXo – they all started out as a small blog! So take the business seriously, who knows your blog could turn into a million dollar company! Ready to get started? Wait, what? 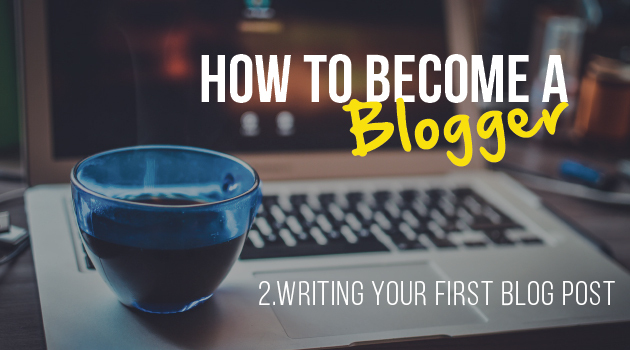 You haven’t created your blog yet? Don’t worry, check out the previous article of this series – ‘Creating your own blog‘ and start your own WordPress blog. 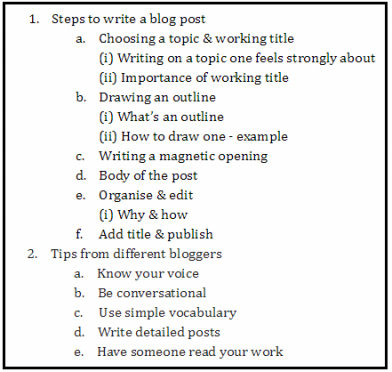 Keep writing till we come back with our next article of this series – ‘How to increase your blog’s readership’. Already own a blog and want to taste the waters of the professional world? Apply to these cool content writing internships and write your own success story. it is important to understand that it is different from the final title; it only ensures that you have clarity on what you intend to write and keeps you from drifting away from it. I want to create a blog ..but im confused that what should be topic ?can i share my experiences through the blog? Can i laugh people by my own daaily life events?plz send me ur guidence im beginer with lots of desiers.. Yes, you can share your life experiences on your blog. I’d suggest that your read different sorts of blogs to get a hang of what all you can write about. It’s is an Awesome Article and very useful. Thanks for Sharing it! Hello admin. This is very useful and helpful post by you. I like your contemplations. It would be ideal if you continue sharing. Great Explanation. Everyone should read it. Please keep posting such a nice articles to help people. Nice & helpful post for the beginners.